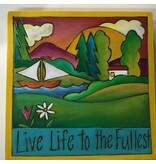 'Live Life to Fullest' Art Plaque 7x7"
Home / 'Live Life to Fullest' Art Plaque 7x7"
A colorful 7x7" wood Art Plaque with distinctive hand drawn imagery, detailed carvings & a message that speaks to the soul. 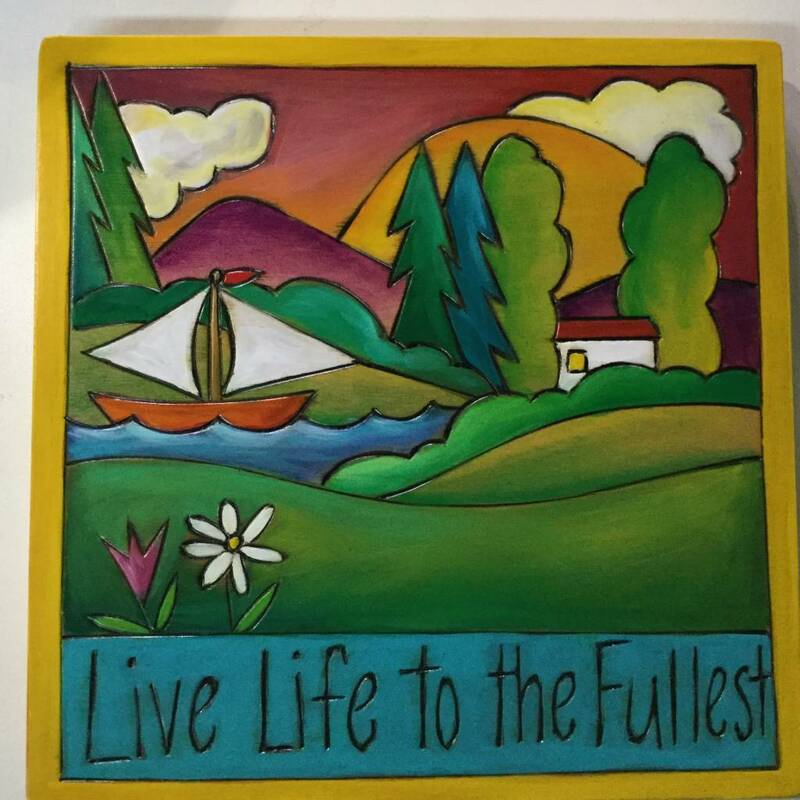 Each piece is hand-crafted, etched and individually painted to create one-of-a-kind artwork. Hand made in the USA by Sticks, a company of over 70 talented & skilled artisans. Price includes Free shipping within the continental USA.